Continued from day 3. Continued on day 5. 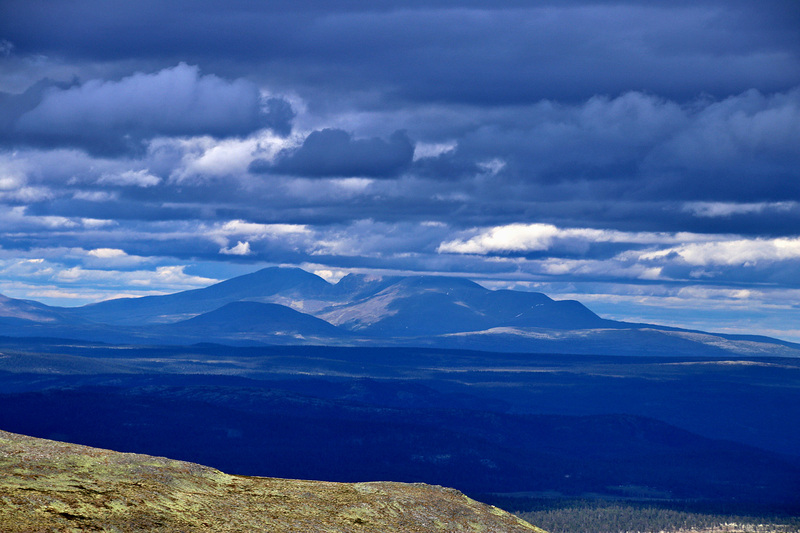 Monday, and a new vacation week in eastern Norway. We left our base-camp by Randsfjorden and thanked Eva and Bjørn for their great hospitality. 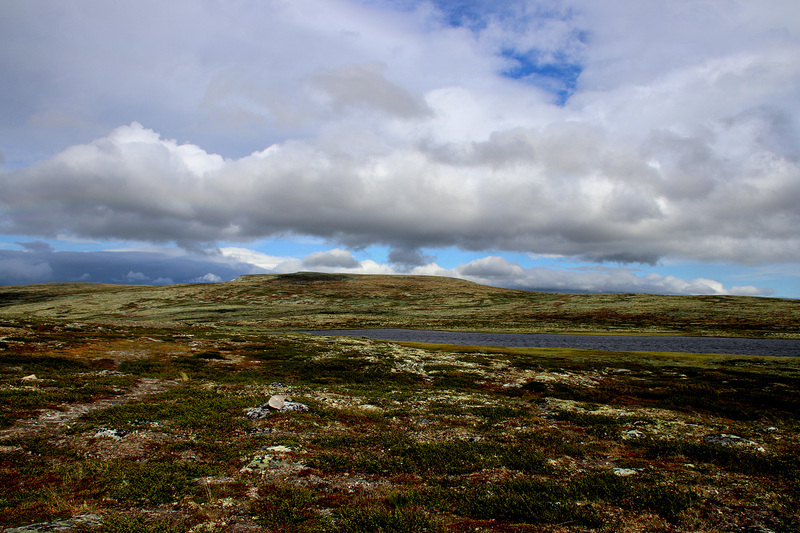 Our next base-camp would be on Måsåplassen by Friisvegen. We’re always as late as we can be, in deciding where to go and where to stay. But we’re normally quite lucky and always end up with a hotel room or a cabin somewhere. Our little family had been temporarily extended with additional four legs, as we were looking after Karma’s sister Turte for a week’s time. The dogs had surprisingly little contact on a daily basis, but I’m sure they enjoyed each other’s company as they’ve known each other since puppy stage. 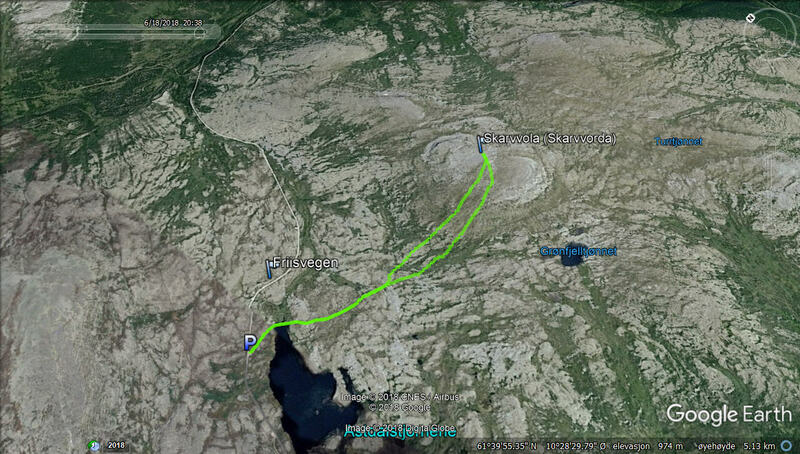 We took FV250 towards Vingrom and Mjøsa, and we passed Bergeknotten trailhead, where we were two days earlier. 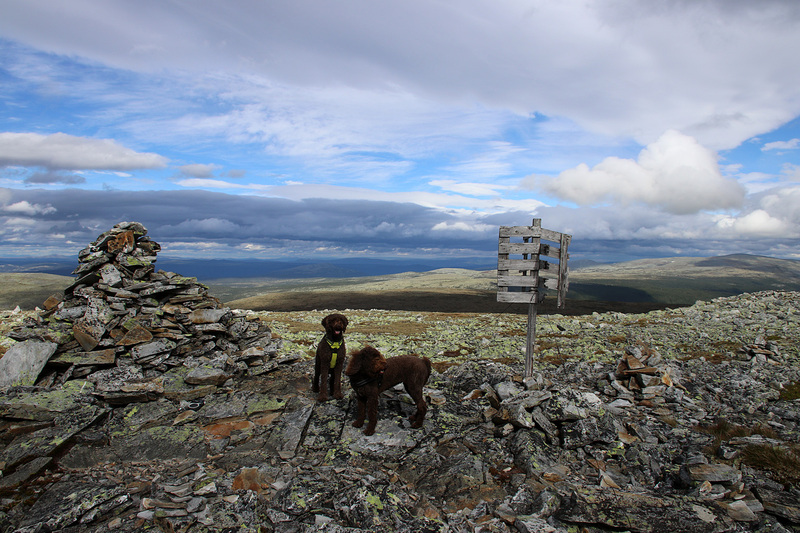 Today, we stopped just a few meters up the road – to walk the dogs (Karma and Turte) on Krokvassfjellet. 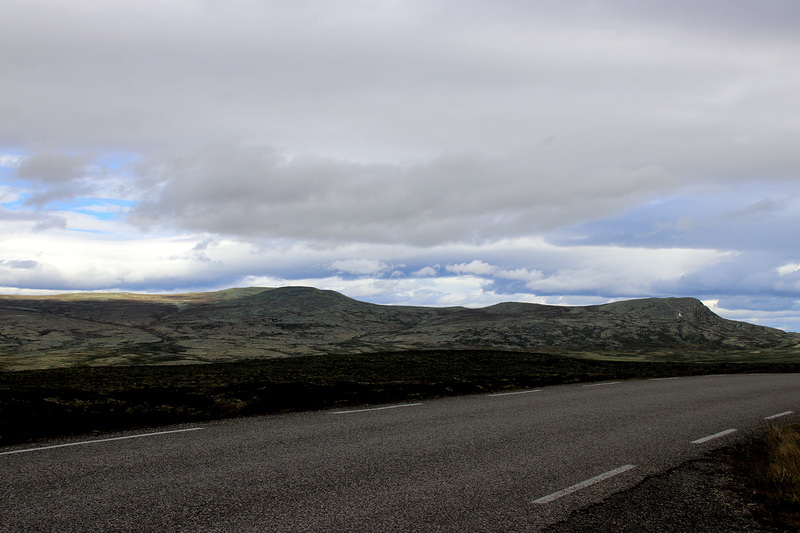 We followed the Svartsetærhalla forest road upwards. Anne on bike, me and the dogs on foot. 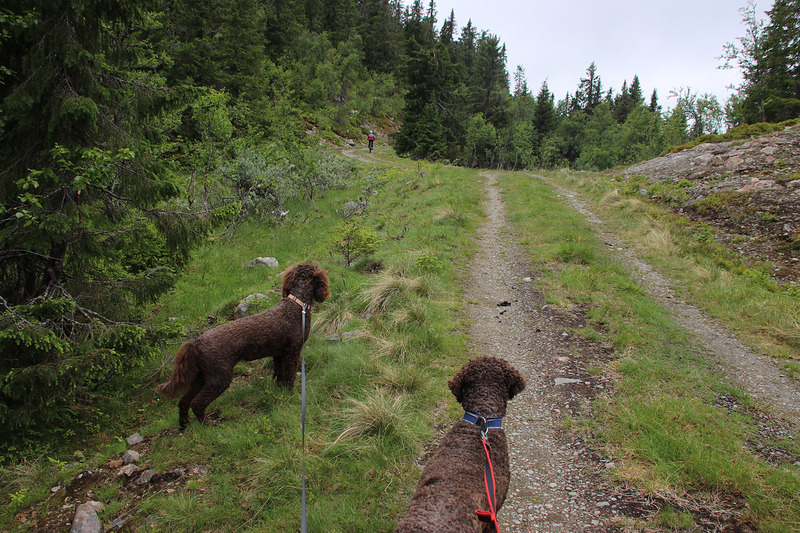 We followed the road for 1,3km until we noticed a path going into the forest. 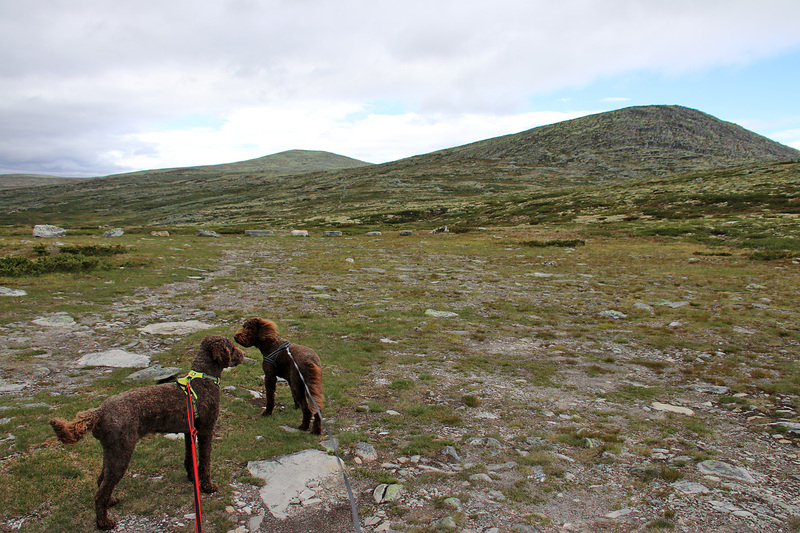 Was this the path to Krokvassfjellet? And if yes, where did the road go? Anne went on an exploration hike but returned with a feeling that the road was going in the wrong direction. 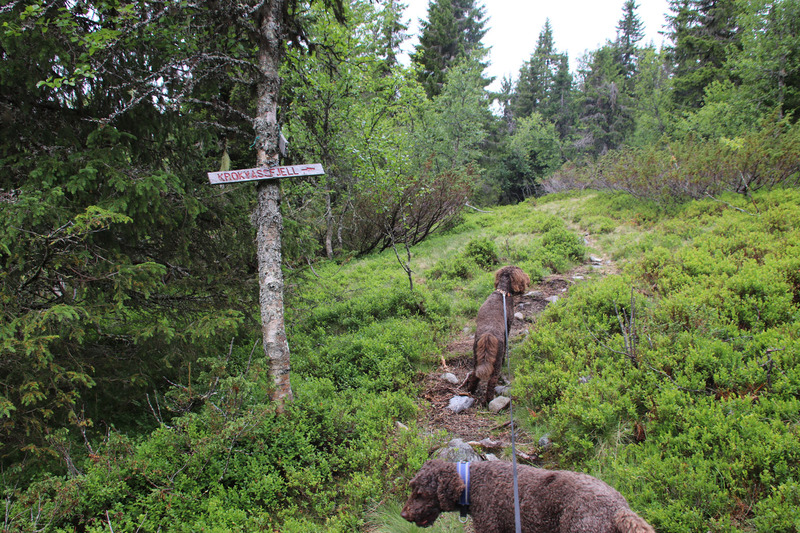 So we took the path and soon after, we saw the “Krokvassfjell” signpost. Yes! On the right track! It turned out that the path joined the forest road at the end of it. We followed the path from the forest road, lost it after a while, but found it again just before we reached the top. 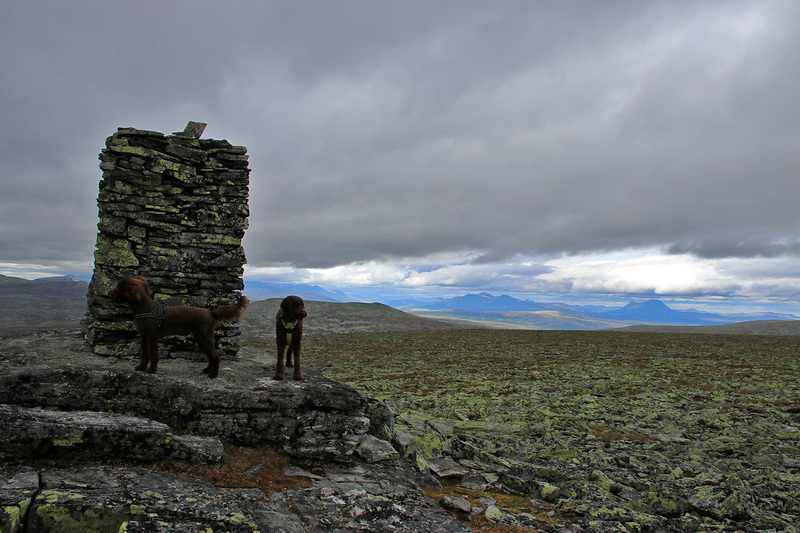 The views were not too exciting, but we had got ourselves a new top and a nice hike/bike-trip. When we returned to the forest road, we chose to follow it back to the car. 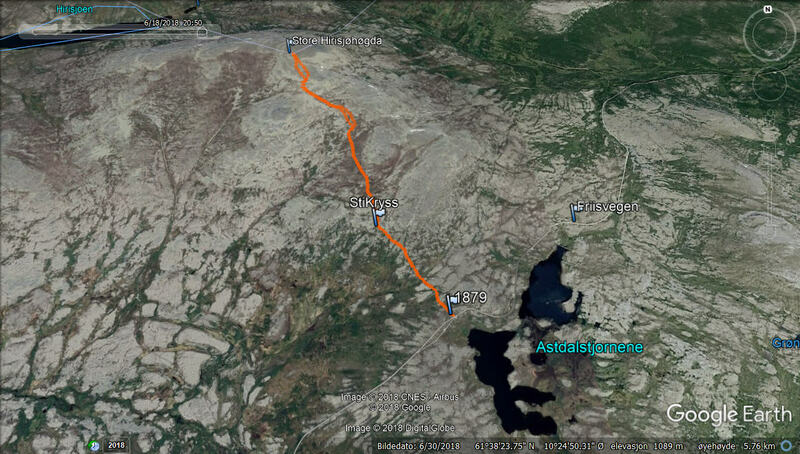 Trip statistics: 6,6km, 220 vertical meters, 1h:35m. Friisvegen next! Very excited! None of us had done hiking in that region before. We arrived on Måsåplassen by Friisvegen. We got a “Stabbur” type of cabin – two floors. 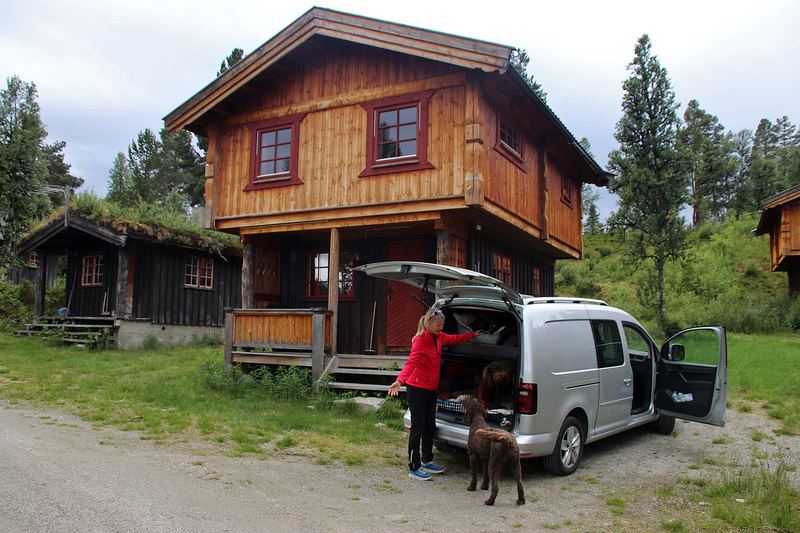 The entire estate screamed out for maintenance, but we got a lot of space and privacy for NOK 900,- per night. And – there was a grocery store on the premise. Practical, as Ringebu would be a bit of a drive. Well worn as it was, I still liked the place. 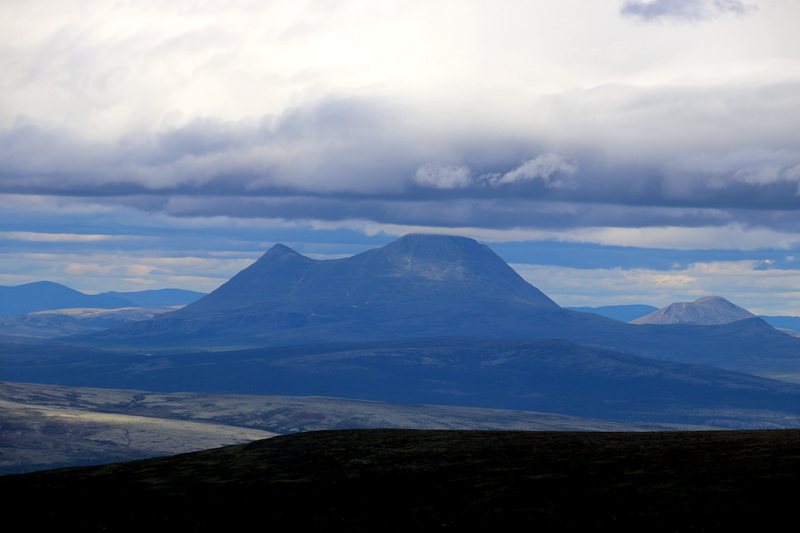 And I couldn’t wait to get to know the hiking terrain along Friisvegen – a road between Ringebu and Atna and southeast of the Venabygdsfjellet road. The map suggested it would be a more than 4km to the top, but based on what I could see from the road, it didn’t seem THAT far. But the map was right. 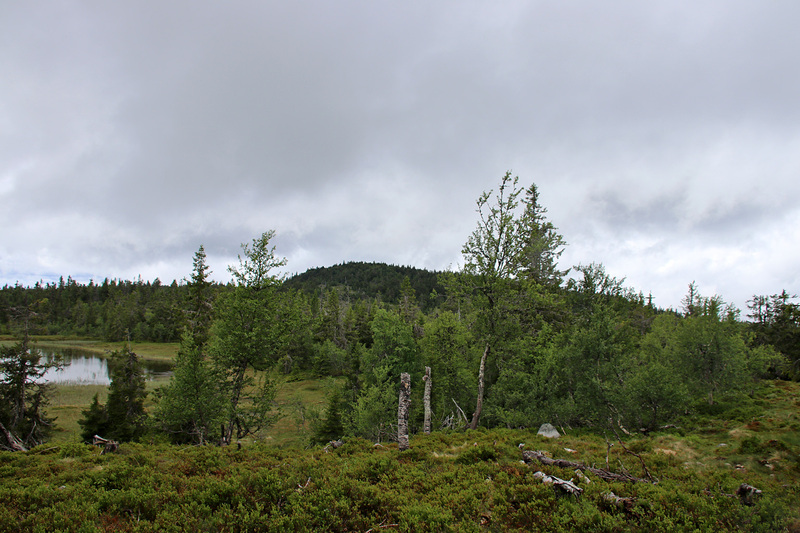 The path from the Friisvegen road was easy to follow (I jogged some, walked some) until I reached the rocky terrain up on Hirisjøhøgdene. From there, it was just setting a straight course towards the high point. 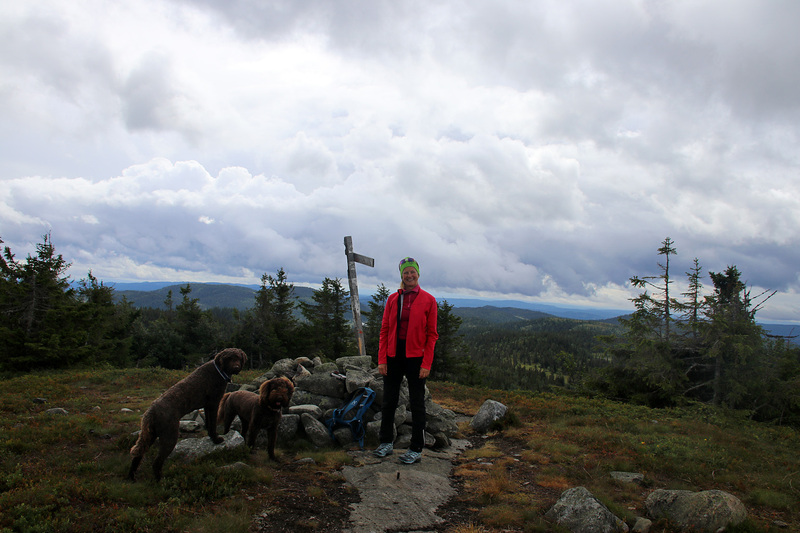 The dogs didn’t seem to have any problems with the terrain and we reached the top 40 minutes after leaving the trailhead. 10 minutes per km. 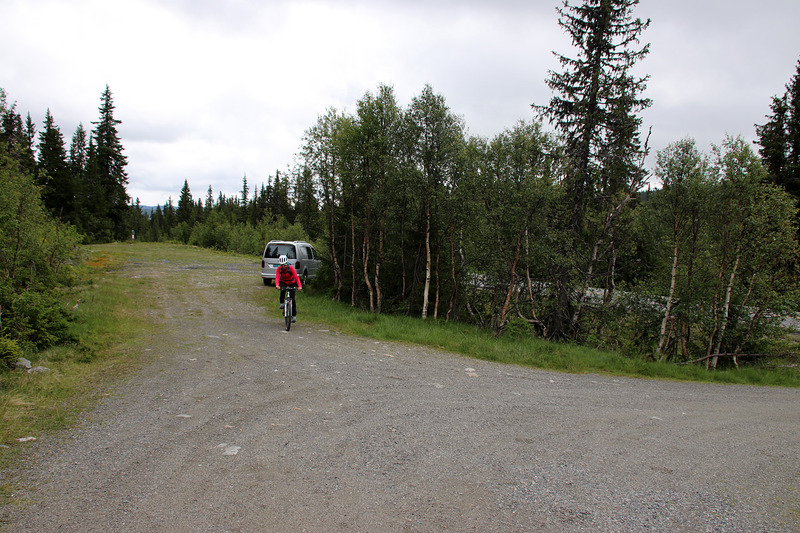 I enjoyed the open terrain, quite different to what we’re used to in western Norway. We took the same route back down, jogged some, walked some. It was fun to see the dogs, in front, going like machines without any distraction – as if they were born to do exactly THIS. We returned to the car 1h:20 minutes after leaving it. Trip statistics: 8,3km, 300 vertical meters, 1h:20m. They’re always looking in different directions! 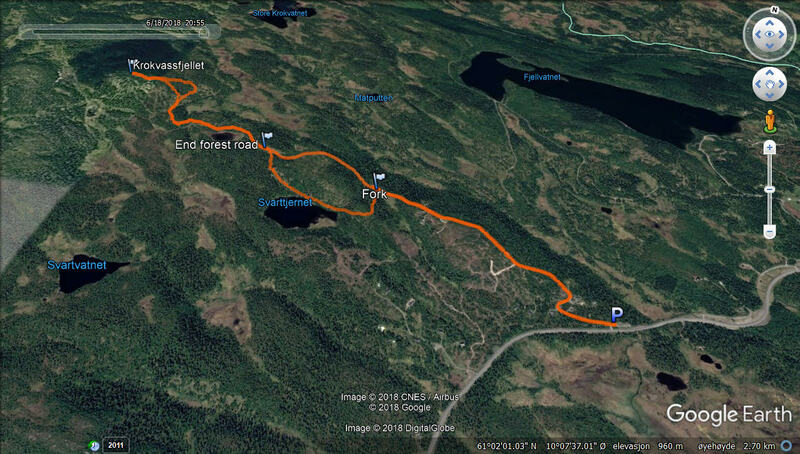 I drove down to lake 1132m just to save time, and quickly realized that I didn’t feel like jogging this one. We started out along a path, but left it halfway up and did the last bit off-trail. It was the same weather, pretty much the same views but altogether slightly better as I now had 3 new tops this day, compared to 2. We returned the way we came and sat course back to Måsåplassen to join Anne, ready for a cosy evening in our newly rented cabin. Trip statistics: 5km, 150 vertical meters, 45 mins.